Google’s first digital skills program in Arabic designed to help youth find jobs, grow their careers or start their own businesses. Dubai, UAE, April 16, 2018: Google announced today the launch of ‘Maharat min Google’, a free digital skills-building program in Arabic, in an effort to help people in MENA find jobs, advance their careers or grow their businesses. Based on a blended learning model, ‘Maharat min Google’ provides free courses, tools, and in-person digital skills training to students, educators, job seekers and businesses. The online platform — g.co/Maharat — has 100 lessons across 26 core topics in digital marketing that include search engine marketing, social media, video, e-Commerce, geo-targeting, and data analytics, among others. Google will provide a certificate upon completion of the full course, which takes about nine hours to complete. 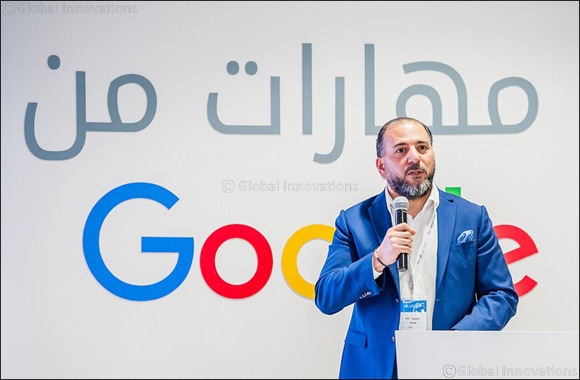 “We’re delighted to be bringing ‘Maharat Min Google’ to the Middle East and North Africa — our contribution to the future of the workforce in MENA. This program is free of charge, available in Arabic and accessible on any platform. ‘Maharat Min Google’ draws on our 20-year history of building products, platforms, and services that connect people and businesses, helping them grow and succeed online. We know how valuable digital tools are to MENA’s future and we at Google are proud to be an engine supporting their growth,” said Matt Brittin, Google’s president of business operations across Europe, Middle East and Africa. Google also signed an agreement with Mohammed bin Salman bin Abdulaziz Foundation (MiSK) which will conduct in-person trainings to more than 100,000 students across Saudi Arabia. Both collaborations with Injaz and MISK will target 50 percent female participation. Google is looking for further local partnerships across the region with governments, universities, private-sector businesses and nonprofits to expand the reach of its ‘Maharat min Google’ program. “At the Misk Foundation, we emphasize the importance of this initiative as it is an extension to the our commitment to develop the Saudi youth’s skills, focusing in particular on 21st century skills which will result in a ready-to-market generation as well as prepare the next generation of entrepreneurs and innovator. And since obtaining digital skills is the cornerstone to achieve this, the Misk Foundation partnered on this initiative with Google and the other participating and sponsoring organizations,' said Deema Al Yahya, Adviser and CEO of MiSK Innovation. Google also announced at the launch event that Google.org, Google’s philanthropic arm, is granting $1 million USD to INJAZ Al-Arab, a regional nonprofit organization, which will roll out in-person trainings to 100,000 students across 14 countries in MENA focusing on youth in underprivileged and rural areas. In a recent study by the World Economic Forum, 1 in 5 jobs in the Arab world will require digital skills that aren’t widely available today . 51% of youth consider unemployment their biggest concern and only 38% believe their education gives them the skills they need to enter the workforce . In MENA, there are 30 million women educated, connected and of working age, which represents the largest economic opportunity in the region today. More than 50% of university graduates are females , yet only 25% participate in the workforce. Courses are available on g.co/Maharat and new lessons will be added in the future.